Asfand and his Rubab! 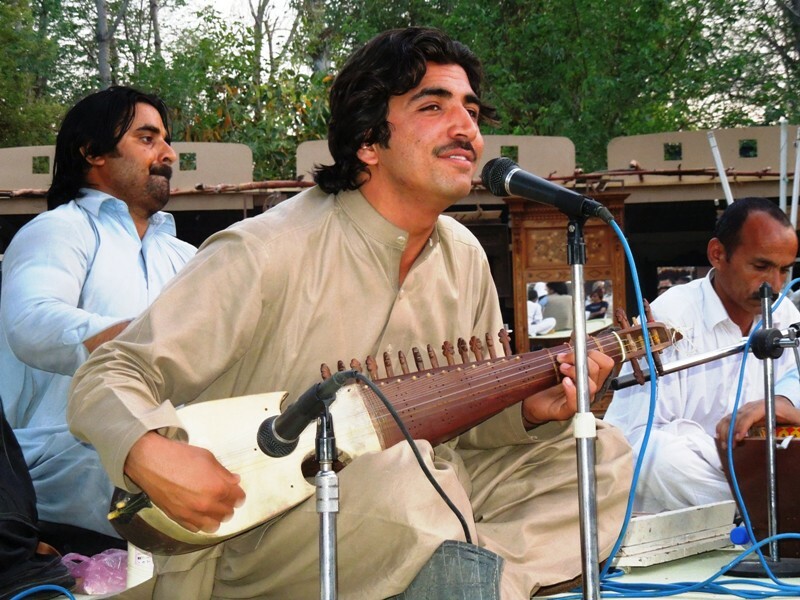 This lovely, moving post by Shiraz Hasan reminded me of another moving documentary film I saw over a decade ago, Amir: An Afghan Refugee Musician’s Life in Peshawar by Dr. John Baily (1985). It is tragic how musicians have been pushed around, forced to flee the fighting during the Afghan war of the 1980s and now, persecuted and punished for their art by the ‘taliban’. Asfand Yaar Mohmand, as Shiraz Hasan writes, comes from a family of labourers. They initially opposed his decision to become a musician but realising he would “not step back” have came around. “I love playing the Rubab, this is such a beautiful instrument. Its strings touch your soul, literally,” says the 19-year old Afsand. The only international organisation in the world advocating freedom of expression for musicians and composers is Freemuse, which I came across some months ago when Salman Ahmad of Junoon introduced me to its founder Ole Reitov. In an subsequent email Ole wrote that his own “deep interest and dedication to this issue started in Lahore in 1980 when – invited by Raza Kazim – I recorded Iqbal Bano (in Kazim’s studio) and talked to her about the reasons why she stopped performing in public”.